The week of the Italian way of living has started! Hundreds of people have already joined us today for the “Living Room”, an event organized in collaboration with the Design Canberra Festival to celebrate the intimate linkage between the Design and Italy. 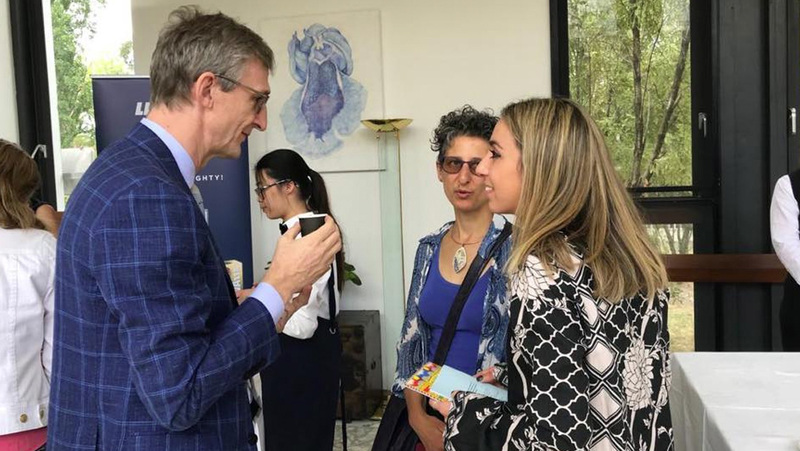 Fran Romano and Madeline Cardone, two artists of Italian origin, displayed their crafts in the exclusive setting of the Ambassador’s Residence. Beautiful art, elegant Italian cars, great coffee, design appliances and Prosecco DOC.. what is not to like?